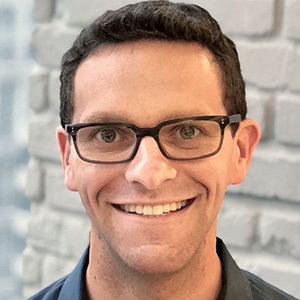 Arizona State University School of Sustainability alumnus Andy Stein was just named to the seventh annual “Double Chai in the Chi: 36 Under 36” list, selected by the Jewish United Fund of Metropolitan Chicago’s Young Leadership Division (YLD). The list highlights the societal contributions of Chicago’s young Jewish population. “To see so many people creating new opportunities that better our community is truly inspiring,” said Alex Entratter, current YLD campaign chair and former honoree. “This is just the beginning of a bright future for these individuals and the community they are impacting." Stein graduated from ASU with a Master of Sustainability Solutions. While at ASU, Stein was concurrently a Project Manager for the Walton Sustainability Solutions Initiatives. Now, Stein is a Sustainability Program Coordinator at Northwestern University, where he focuses on the university’s Built Environment Program. He has a particular interest in sustainable building practices and incorporating sustainability into business operations.